PHOENIX – First, it was Brandon Beane who went on a rant defending Buffalo in response to the notion that NFL players – such as Antonio Brown – don’t want to play there. On Tuesday, it was Sean McDermott’s turn. As with the Bills general manager, who addressed the anti-Bills sentiment that became a topic of conversation after the team's interest in making a trade with the Pittsburgh Steelers for Brown failed to result in a deal, the team’s head coach was vehement in his support of the city that he has called home since 2017. 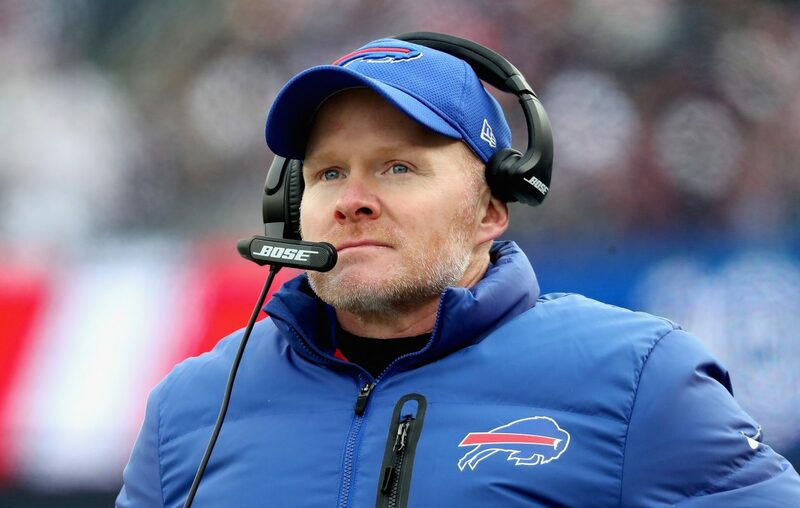 Since arriving in Western New York from Charlotte, where he was defensive coordinator of the Panthers, McDermott has found plenty to love about the area. He is particularly fond of the passion of its fans. "In the time that I've been in Buffalo, my family's been in Buffalo, I didn't realize how important fit was when I was going through the interview process with the different teams to become a head coach,” he said. “I am very grateful to have ended up, and this can be said of all 32 teams, in Buffalo with the Bills because of the fit and because of the people and because of the tradition. So what more can you ask for from a city? Football to me is important to the City of Buffalo. That's not the case in every city.